If you or a loved one wishes to establish a conservatorship or guardianship agreement, our attorneys at the Law Office of Barbara J. May have the necessary knowledge and experience to make sure your requests are handled successfully. We look at your entire situation and collaborate with you to make sure the plan we establish works for you both in the present and years down the road. These are decisions that will have a real impact on your life, so it's important to seek help today from a law firm you can trust. Conservator of the person – If an adult cannot care for and protect him or herself, the court may appoint a conservator of the person. Food, clothing, shelter and healthcare are primary concerns of the person acting as conservator. Conservator of the estate – Paying bills, collecting income, protecting assets, budgeting responsibly and otherwise managing financial affairs is the role of a person appointed as conservator of the estate. A conservatorship proceeding is commenced when someone files a petition in court for a conservator to be appointed. The person initiating the proceeding may be a spouse, relative or friend, even the person at issue if he or she recognizes an inability to continue managing affairs. State and local agencies can also file a petition seeking the appointment of a conservator. A judge has discretion to make an appointment in the best interest of the conservatee, but is guided by the legal preference that the spouse, adult child or parent be appointed, in that order. If you are concerned that a person you disapprove of may be appointed as conservator to manage your affairs, there are steps you can take to prevent it. One way is to execute a power of attorney granting an individual of your choice the ability to manage your healthcare, finances and other affairs, should you be unable to do so yourself. 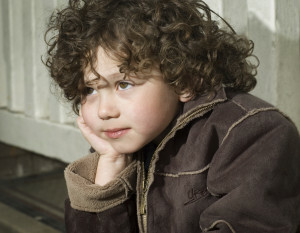 As with conservatorships, court papers must be filed to become a legal guardian. A court investigator will look into the situation and prepare a report. The judge will consider the report as part of a legal hearing to determine whether to appoint the legal guardianship being sought. If you are seeking to become a conservator or guardian, it is best to use a lawyer experienced in dealing with the probate court and estate litigation. At the Law Office of Barbara J. 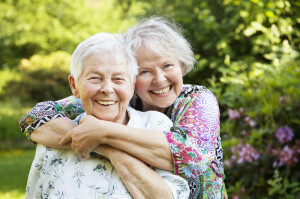 May, we have substantial experience in probate court and can represent your interests in connection with conservatorship or guardianship proceedings.